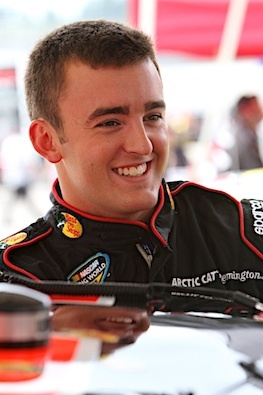 FORT WORTH, Texas – Austin Dillon will graduate into NASCAR’s Nationwide Series in 2012 as the future of Richard Childress Racing, albeit with a bow to the organization’s legendary past. Dillon and Richard Childress Racing will campaign the “stylized” No. 3 – the number forever synonymous with seven-time NASCAR champion Dale Earnhardt – fulltime beginning with the season-opener at Daytona International Speedway in February. Dillon’s No. 3 Chevrolet Impala will carry primary sponsorship for 20 races from AdvoCare, an award-winning health and wellness company based in nearby Plano. 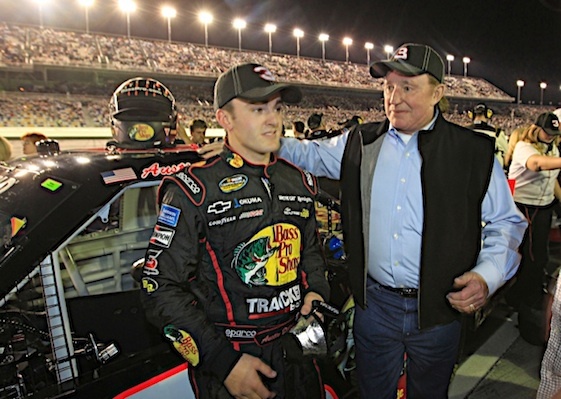 RCR will return fulltime to the Nationwide Series in 2012 after a one-year hiatus with Dillon, team-owner Childress’ 21-year-old grandson. But Dillon will first head into the season-ending NASCAR Camping World Truck Series race later this month as the championship points-leader. Driver of the No. 3 Bass Pro Shops Chevrolet Silverado, Dillon has a 20-point lead over Johnny Sauter following a second-place finish at Texas Motor Speedway Friday night. Dillon, 21, is poised to become the youngest champion in NCWTS history at Homestead-Miami Speedway on Nov. 18. A former NASCAR driver, Childress is fully aware of the emotional ties to the No. 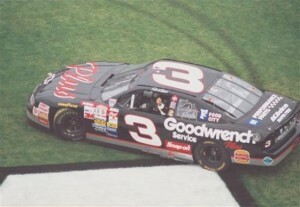 3 and Earnhardt, who was killed on the final lap of the 2001 Daytona 500.
won six of his seven Cup championships. “It’s something that we’ve really taken serious. We gave it a lot of serious thought before we even put it on the very first race car with RCR (for Dillon), going back to the Bandoleros days. 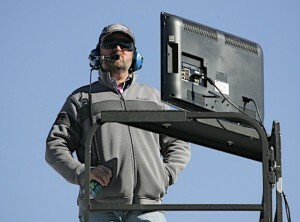 Childress added he sought the approval of current Cup star Dale Earnhardt Jr., who earned back-to-back Nationwide Series championships in 1998-99 driving the No. 3 Chevrolet for Dale Earnhardt Inc. Junior also scored Nationwide victories in the No. 3 for RCR in February 2002 and July 2010, both at Daytona International Speedway. Childress added he currently has “no intentions” of taking the No. 3 back to the Cup Series with his grandson, who made his debut in NASCAR’s top touring series with a 26th-place start/finish at Kansas Speedway in October. Childress said Austin could make from one to three Cup starts in 2012 with an alternative-numbered car. Dillon is a son of former NASCAR driver Mike Dillon, vice president of competition at RCR, and wife Tina, Childress’ daughter. The NCWTS Rookie of the Year in 2010, Austin has a combined 12 poles and four wins in his two fulltime Truck Series seasons sporting the No. 3 originally campaigned by Mike Skinner. Dillon made his Nationwide Series debut in 2008. In 11 series starts, he has earned two top-five and four top-10 finishes. “The Nationwide Series is something I’ve been looking forward to for a long time,” Dillon said. “I feel like I was in a fortunate situation, taking our time and making sure that we were winning races and doing well in the series that we run. I feel like now is the time to go to Nationwide. We ran really well earlier this year with KHI (Kevin Harvick Inc.) in four races. Dillon’s stock car career has been on a methodical rise since he began racing in INEX Bandoleros and Legends Cars in 2006. He moved onto dirt Late Model cars in 2007, winning three races before switching to asphalt Late Models. “We had a plan for Austin and Ty both,” said Childress, referring to Austin’s brother and recently crowned 2011 ARCA Series champion. “Ty called me when he turned 13 and said, ‘Austin and I are ready to go racing now.’ That was the most expensive phone call I ever got. So we had a plan. Mike and I sat down and made out a plan of how we wanted to see their careers move from the Bandoleros. young talented drivers come along and being pushed into the series. We wanted to watch him run some in the Nationwide this year. We watched him and felt he was ready. Austin agreed that the program laid out for him – and the quality equipment he’s driven – accelerated his learning curve. “Running the short tracks, I feel like my grandfather put me in the right place to run –and that was in the dirt cars,” Dillon said. ”We were able to go out and run race cars that have 800 horsepower and weigh 2,300 pounds. And when you get in one of these things, it’s quite a bit…when you can drive an 800-horsepower race car weighing 2,300 pounds and you get in one of these, it actually makes it easier, I feel like. RCR has earned 56 Nationwide victories and five series championships since its first season in 2000. Kevin Harvick won overall championships (driver and owner) in 2001 and 2006. Harvick and Sauter won the owner’s championship in 2003; Jeff Burton and Scott Wimmer won the owner’s championship in 2007 and Clint Bowyer won the driver’s championship in 2008. That title-winning consistency helped sell AdvoCare’s management on backing RCR. Since 1993, AdvoCare has offered more than 70 exclusive nutrition, weight loss, energy and sports performance products developed through research and backed by a scientific and medical advisory board. AdvoCare tested the NASCAR waters as title sponsor of the AdvoCare 500 Sprint Cup race at Atlanta Motor Speedway on Labor Day Weekend. AdvoCare also is a platinum sponsor of Operation Homefront, an organization dedicated to providing emergency assistance to those serving in the military and their families. AdvoCare’s national spokesperson is Super Bowl MVP quarterback Drew Brees of the New Orleans Saints.